Palmistry we all know is a science with which the astrologers read the palms of the people and predict the future. Each line on our palm has significance. They change with time in length and clarity. 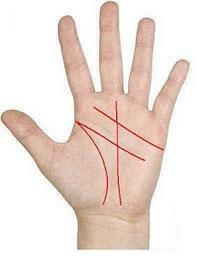 It is said that as per our karma the lines on our palm changes and thereby our destiny is also affected. Some believe in this and some say it is not true. However, there is a recognised subject called palmistry that is also taught in some universities in India. It is primarily an Indian concept that is now also adopted by the western astrologers. We will discuss about palmistry and if you are interested in learning palmistry then where can you get palmistry tutorials. The astrologers say that those who are good with palmistry can predict anything from death to birth of a child. The astrological chart or the kundali that is prepared at the time of birth cannot be relied completely for predictions. It might not be able to give the details of something that will happen after five to six years. It can give a rough idea but for the exact picture palms are more reliable. There have been instances in astrology where the birth chart fails to show accidents but the palm clearly gives an indication of a good or bad incident. It also gives the exact time of it. The experts belive that the palm is more accurate while predicting the future because it is a reflection of what karma we are doing. If we do a good deed it reflects on our palms and so is the case with a bad deed. Palm majorly has three lines that is heart, head and life line. There are also some small lines that are called fate line, sun line, line of marriage, etc. A person must be at least eighteen years of age to understand their palms and read the lines. Each line as the name suggests tells about how long you will live, how healthy you will be, how your married life will be, will you make it big in your career, etc. Interesting! To know that these lines can tell so much about what is ahead. Some feel that palmistry is just a way of making money for the astrologers. Whereas some are of the strong belief that it can actually predict the future. Apart from these lines the palm also has some mounts. These are called the mount of Sun, Venus, Mercury, etc. Each mount has a significance of its own and they tell a lot about our personality. Each mount represents a planet. For example if the mount of sun is strong this means that the person will be very successful in career. Similarly if you have a strong mount of Jupiter you will be good with money. If you are interested in learning palmistry then you will have to look out for the best teacher who can teach you the same. It is not true that all will have a good knowledge of the subject. Very few people will actually know how to read palms correctly. If you don’t get a good teacher you might learn the wrong details and as a result fail as an astrologer. In Abhishek solutions we have designed a training material that can teach anyone to read palms and predict the future. It is a simple online training that is also interactive ensuring that the students can learn the art of palmistry in a given time and also practice it later. I hope you will find this of use and join the course soon.